Following a rigorous tender and approval process, the Cape Town International Convention Centre (CTICC) has appointed Imperial Logistics group company LSC as its exclusive provider of human capital management services. Phillip Meyer, CEO of the LSC Group, reveals that the scope of this significant two-year contract encompasses sourcing, placing, training and administering various categories of staff for the CTICC, including chefs, receptionists, parking attendants and wardens, IT technicians, supervisors, junior managers and all service staff. As the leading supplier of quality hospitality staff in South Africa, the LSC Group’s deep experience and expertise was key to its success in this contract win, he states. “In its 16 years of existence, the CTICC has hosted more than 8 million delegates through almost 7 000 events, conferences and exhibitions. The CTICC wished to partner with a specialist company capable of providing professional human capital management solutions that will enable the venue to optimise staff efficiencies associated with the cyclical nature of the business. Having entrusted these services to the LSC Group, the CTICC will be able to focus on its core business of events and conventions,” Meyer says. New technology that the LSC Group will invest in for its partnership with the CTICC includes a new web-based timesheet system. Meyer says a new online client portal will also be developed for the CTICC. 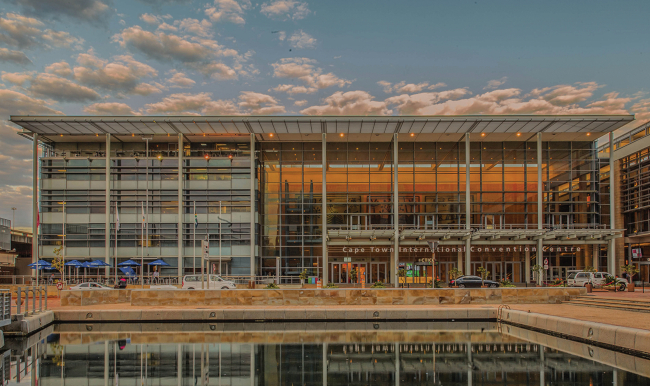 “The CTICC offers a unique combination of world-class venues and facilities and we are eager to prove ourselves and our professional staffing solutions at this exclusive venue. The LSC Group is celebrating 20 years in business this year. At a time when tenders are often awarded on the basis of price, we are heartened to know that our reputation was the decisive factor in this exciting new partnership,” Meyer concludes.